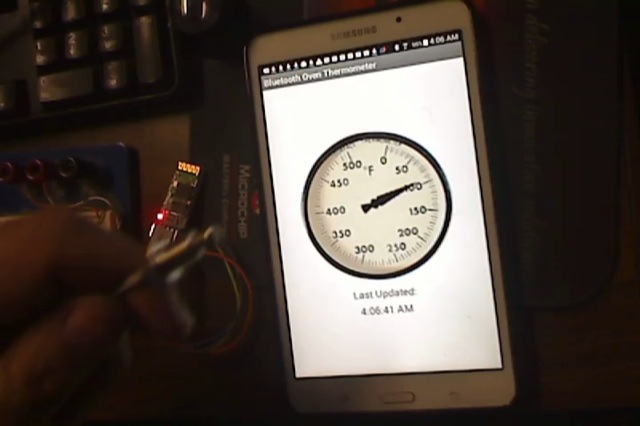 Here’s the demo for the MIT App Inventor Oven thermometer I made. You’ll need some flavor of Adruino, a Bluetooth SPP module, a max6675 thermocouple amplifier and a thermocouple to actually make the demo work. 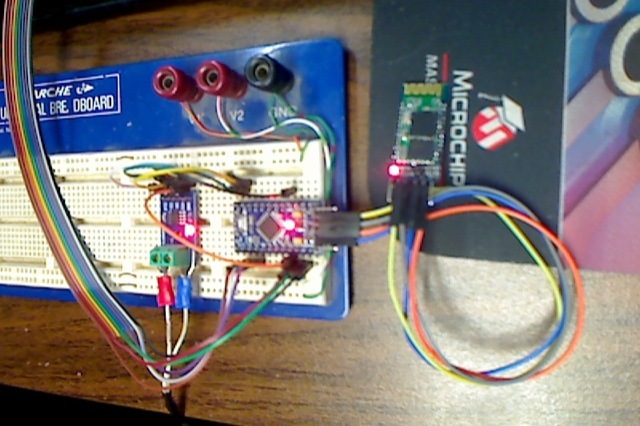 I like these small 328 based boards and since they don’t have USB hardware it’s really easy to connect up the Bluetooth module. The ribbon cable is going over to a USB-ISP programmer. The code updates every 400 ms but it could go a lot faster. I just don’t think its necessary. Here’s a quick movie with a small butane torch being used to heat the thermocouple. The modules I have have been configured for a few different projects. The error probably has to do with a status message or local echo inserting non numeric characters. Some one else had a similar problem and posted their error which showed a brace in the first position. The simplest fix would be to add a read right after the connect and throw away everything to empty the buffer. I’ll try adding it to my code to see what happens. I’ll post an update as soon as I can.